In 1960, Robert Stanch began what was to become a family heritage of tree service expertise for residents and businesses throughout the South Jersey counties of Gloucester and Camden. And the Stanch family still owns and operates the company. By adhering to the time proven principles of exceptional customer service and pride in our work to be the best we can be, Stanch's Tree Service has grown to have an outstanding reputation and service capabilities. Part of that commitment to excellence involves extensive training and continuous education along with ISA arborist certification. Having “The Right People” is mission critical to being your best choice for tree services. Assuring we have “The Right Equipment” means investing in the best equipment the industry has to offer for efficiency, safety, and avoiding damage to your property. Achieving “The Best Results” requires we never forget that we are guests on your property and treat you with the highest level of respect and leave your property better than when we arrived. After more than half a century, our “roots” here run deep. We raise our families in this community too. Core values like competitive pricing, integrity, exceeding your expectations, and delivering the best value are how we contribute to the area we live and work in. That alone is probably a good reason to call us about your tree service needs but we prefer to let our customers speak for us. They are truly the ones who help build this company. Very happy with the entire experience. Would definitely recommend Stanch's Tree Service and will hire them again, if the need arises. 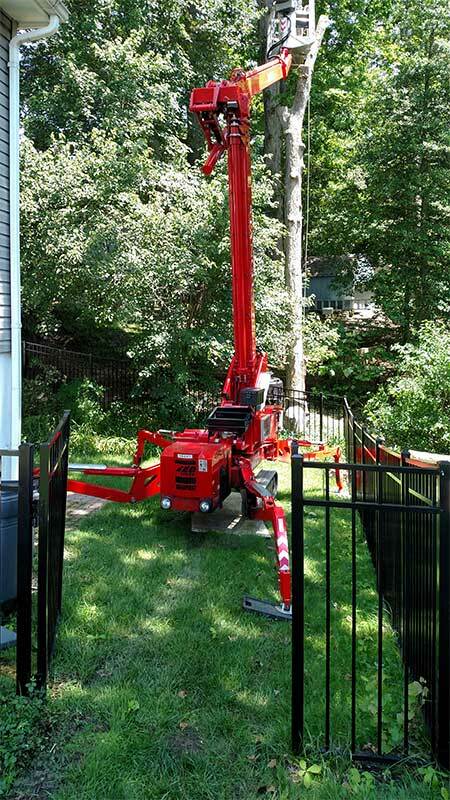 Unlike a lot of tree service companies, someone answers the phone when you call, they make and honor a specific appointment time and perform the job when promised. When the crew came they did such a great job and when they left, you'd never know they were there…Absolutely everything was cleaned up, down to the last pine needle. They took a lot of dead stuff out of my trees and the cuts were so well done, you can't tell where they trimmed. They ground up stumps, cut off hanging branches, trimmed trees, etc. did an amazing job. Immaculate cleanup. We contacted them the night of the storm to remove a 35-year-old maple tree that fell and was blocking our front door. Approximately 24 hours later, a crew was here with all the right equipment. Perfect! John the owner was there working with his crew. They were friendly, professional and completed the job quickly and with great care. Quality of work excellent! We appreciate our clients taking the time to review us and testifying that the standards we abide by are being achieved and noticed. When you contact us for your tree service needs, we'll assure that you receive the same level of experience as the examples above. 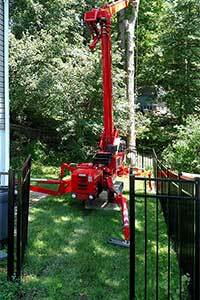 If you're wondering about 24/7 emergency tree service, the answer is yes, we provide that too. They came in and removed a very large pear tree and a cherry tree from the front yard, ground the stumps down and even cleaned up the branches and leaves that dropped from the removal. Great bunch of guys and very friendly.